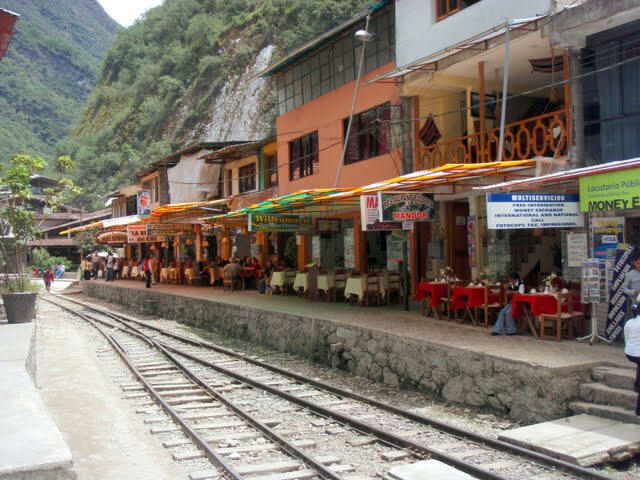 Aguas Calientes is a town of Pizza shop. If you like pizza then you will be in better shape in Aguas calientes. But they have few good restaurants too which serve really good foods. 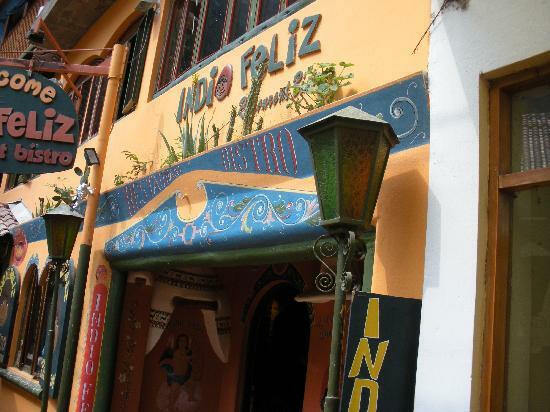 Indio Feliz is one of the better restaurants in Machu Picchu. It is the most famous one too. You will hear many people will refer you to go to these restaurant. 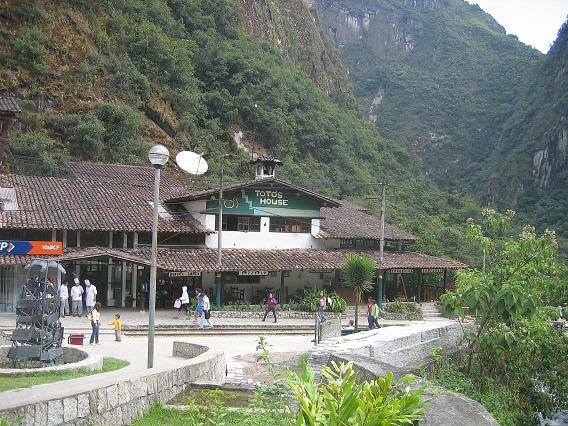 You may like the environment here, at least better than other places in Aguas Calientes. Price of food in Aguas Calientes is a bit high, and in Indio Feliz it would be on the upper side. But still the price is ok, if you compare with the price of food of western countries. 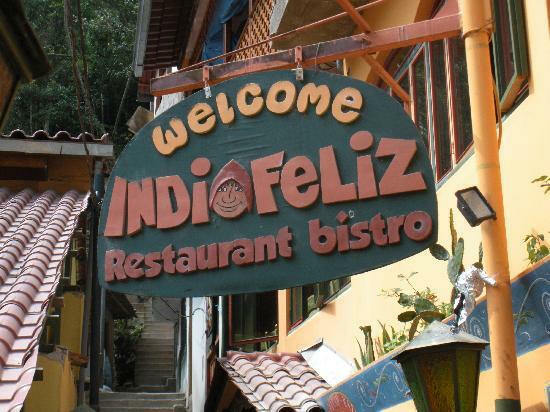 Try there three course meal if you visit Indio Feliz. It is $17.00, but you will certainly like it. Their homemade potato chips and avocado salad create exceptional charm on the mind of the visitors. This place is too much famous, so make reservation before you go there, specially in pick hours. Their phone number is Ph: 084-211-090. Toto's House is a big restaurant. I should say one of the largest restaurant of Peru, with a sitting capacity of 400 people. Actually Toto's house is the most good looking, and certainly the spacious restaurant in Aguas Calientes. Food is also good there. 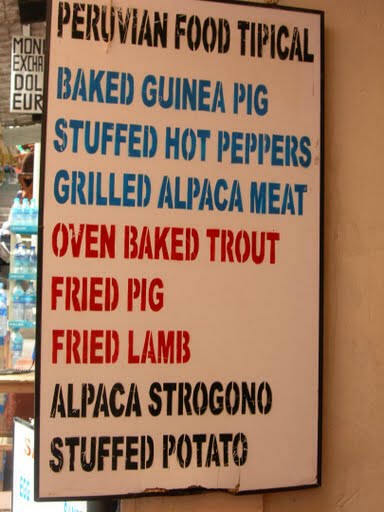 You will get all sorts of foods here. But Toto's house is the most expensive one in Aguas Calientes. You can have buffet here, and price is $18.00 ! This restaurant is on the side of Urubamba river, and you can have views from any window of this restaurant. The sound of Urubamba is gorgeous from here, it is a bit noisy, specially when the train also passes, but probably you will still like it. If you like adventure, with food I mean, you may try the foods at open restaurants on the side of railway stations. See the picture here. You will get pizza and other Peruvian dishes here. Food is comparatively cheap, and many people like the environment. 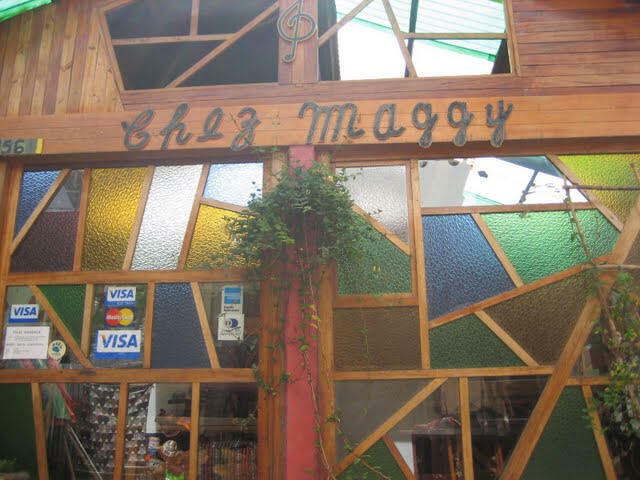 One of the cheap but good restaurant is Chez Maggy. It's soup and Pizza is very good. Even if you are not pizza lover, you will probably like the pizza here. 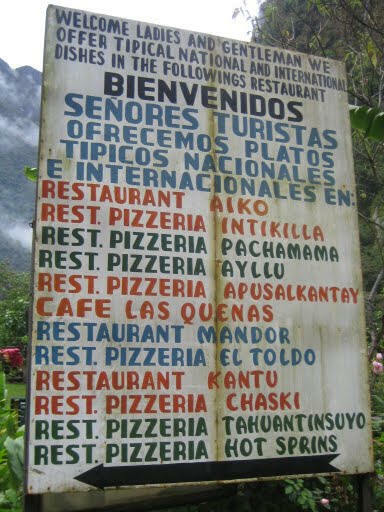 Lastly Here are some pictures from which you know that Aguas Calientes is a city of Pizza, Where you see a restaurant (and you will see them a lot, at every corner, at rail line, at the bank of Urubamba river, yes everywhere, literally), you will see signs of pizza.